Lately I’ve been quite taken with ‘vintage women’- famous artists, authors and characters from novels I read. I particularily love scandalous women because they are just more fun. I was inspired to make these lovely hearts and decided to grace each one with a photo of one of my favorite ladies. They can be for Valentine’s day or any occasion, because we all know that love is a part of each and every day. 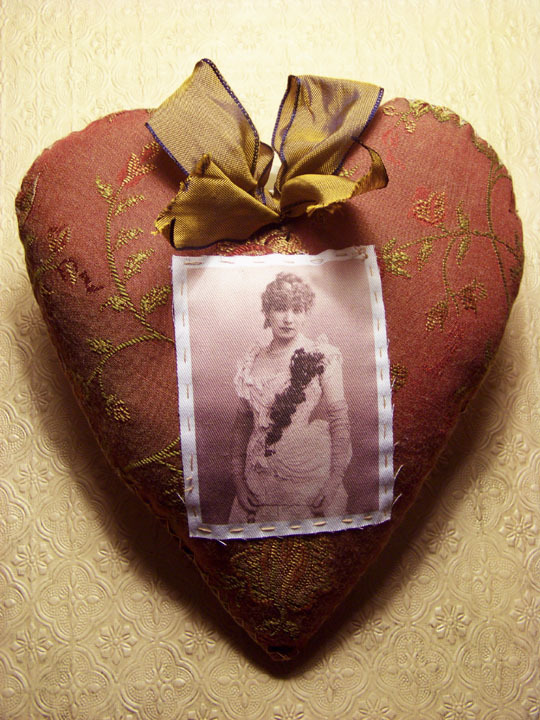 This heart is one of my favorites, it’s the Sarah Bernhardt heart for all the drama queens in your life. 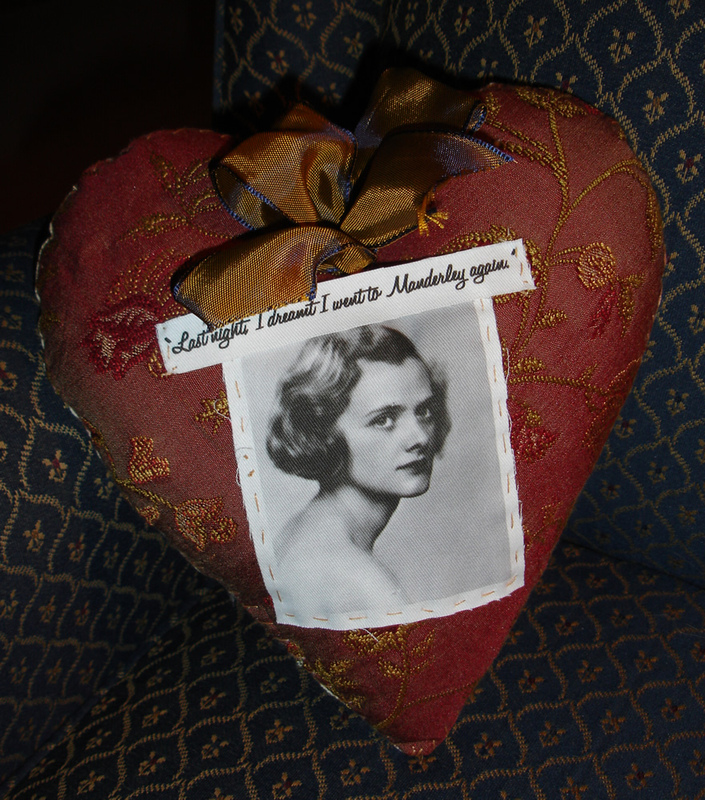 I made the Daphne Du Maurier heart for a friend of mine for Christmas who loves the novel Rebecca. If you’d like one they are $22 with shipping, and you can email me, or purchase one at my etsy shop. Oh I love these Emily! I love the Daphne DuMaurier pillow. Rebecca is one of my favorite books. Now I’m off to explore your etsy shop. Unique, indeed. I’m so inspired!